Tunisia - A new workshop organized by the Euro-Mediterranean Human Rights Monitor on documentation methods of torture victims’ cases marks a first step prior to the implementation of the National Project for Documentation of Torture Victims’ Cases in Libya, to be launched in Libya by the International Humanitarian Law Center in partnership with Euro-Med Monitor. 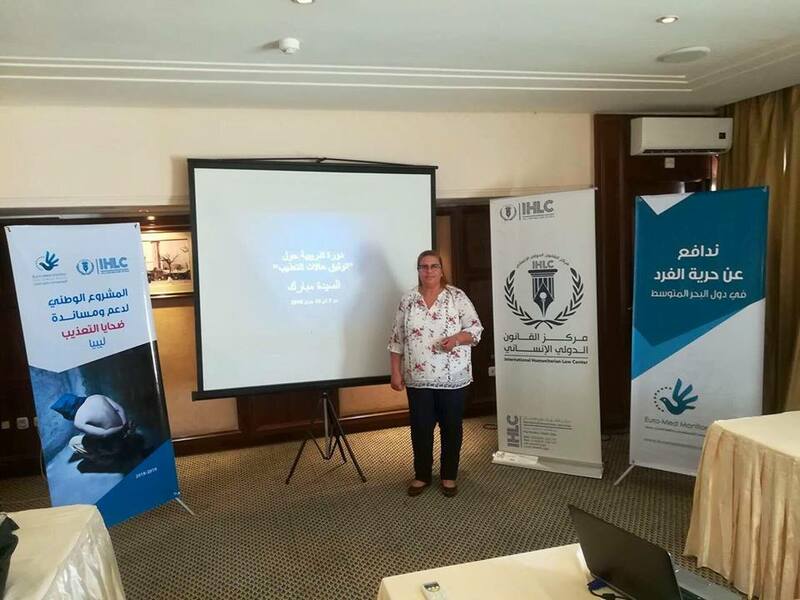 The training session aims at providing researchers, academics and prosecutors from Libya with the necessary skills to carry out a comprehensive documentation of cases of torture as well as to introduce the most important conventions and international laws against torture. Participants in the workshop will then supervise a team of 60 field researchers distributed throughout Libya. During the next few months, these field researchers will work on documenting all cases of torture to all parties to the conflict in Libya over the past seven years (2011-2018). According to Professor Saida Mbarek, member of Tunisia’s National Commission for the Prevention of Torture (or L’Instance Nationale pour la Prévention de la Torture) and the main trainer in the project, the four-day training focuses on providing participants with a legal background, introducing the meaning of crime of torture under international humanitarian law, international criminal law, and human rights conventions against torture. The workshop also aims at teaching participants the ethics of the documentation process of torture and treatment of victims. Professor Ali Gherab is a member of the Truth and Dignity Commission (or L’Instance Vérité & Dignité), an official Tunisian body responsible for overseeing the transitional justice process in the Republic of Tunisia. Prof. Gherab offers insights to participants from Libya by introducing the Tunisian experience in the documentation of torture victims’ cases. The rights expert further illustrates on the most important obstacles facing field researchers while documenting crimes of torture and how they can behave in such situations. The National Project for Documentation of Torture Victims’ Cases in Libya will also feature a website on the documentation of cases of torture victims. The project will extend over the next two months, where its results will be announced in a comprehensive report at a special seminar held at the Palace of Nations in Geneva on the sidelines of member states’ meeting.